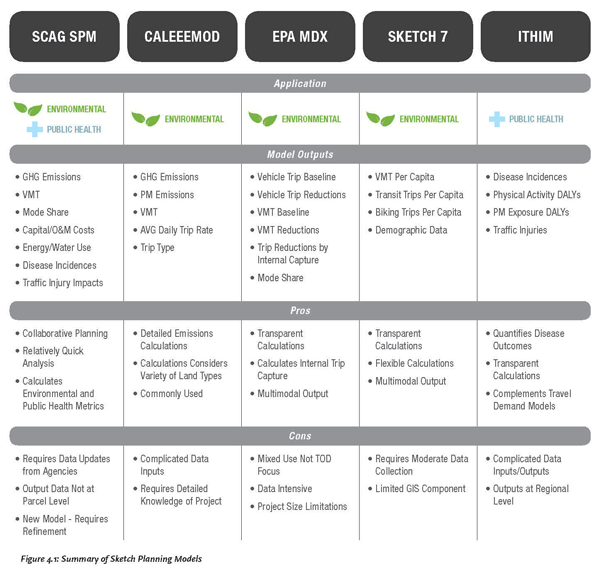 There are a range of planning tools and models that local agencies in Los Angeles County can utilize to assess the environmental and/or health benefits and impacts associated with transit supportive development, as well as the development of transit-supportive communities and station areas. 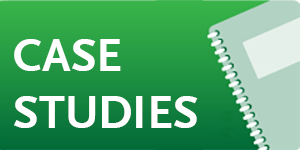 This portion of the Transit Supportive Planning Toolkit website lists available resources for local agency staff to utilize in the grant application process to support the implementation of transit supportive projects. GHG Emission Levels : Greenhouse gases (GHGs) include carbon dioxide, methane, nitrous oxide, chlorofluorocarbons, and water vapor. GHGs are the main contributors to global warming, as they trap the heat from solar radiation from passing through the atmosphere, thus causing the lower atmosphere to warm. Some funding programs like the State of California Affordable Housing Sustainable Communities Program (AHSC) require projects to demonstrate reductions in GHG emission levels and require applications to quantify GHG emission reductions per GGRF dollar. VMT : the measure of miles traveled by vehicles within a specified region for a specified time period. VMT is often used to measure carbon emission levels associated with automobiles. As VMT decreases, carbon emissions associated with automobiles is also expected to decrease. Demonstration of VMT reduction is a common requirement for many federal and state funding programs. Vehicle Trips : a one way movement of a vehicle between two points. Similar to VMT, vehicle trips is also used as a way to measure carbon emission levels associated with automobiles. Mode Share : The percentage distribution of trips among the various travel modes. Mode share is often used to measure automobile dependency and related carbon emission levels. Disease Incidence : The number of newly diagnosed cases of a disease. Disease incidences of respiratory diseases such as asthma can serve as potential metrics to measure air quality within a community. Traffic Injuries : Traffic injuries involving automobiles, pedestrians, bicyclists, and transit vehicles are a growing public health concern and can serve as a metric to measure safety and infrastructure design within a community. The City of Los Angeles recently implemented the citywide Vision Zero initiative that focuses on prioritizing safety for all users of the roadway and to reduce traffic deaths to zero by the year 2025. 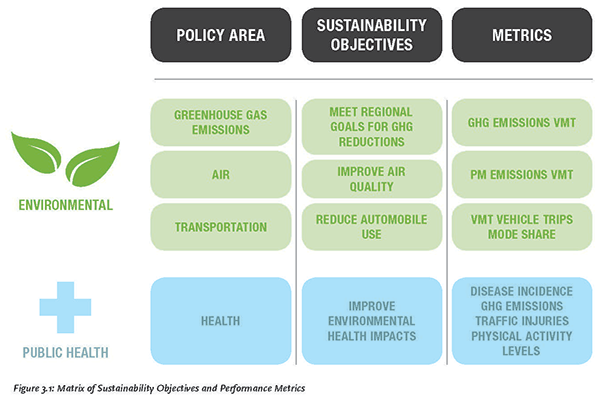 The graphic below illustrates the relationship between policy areas, sustainability objectives, and the metrics noted above. 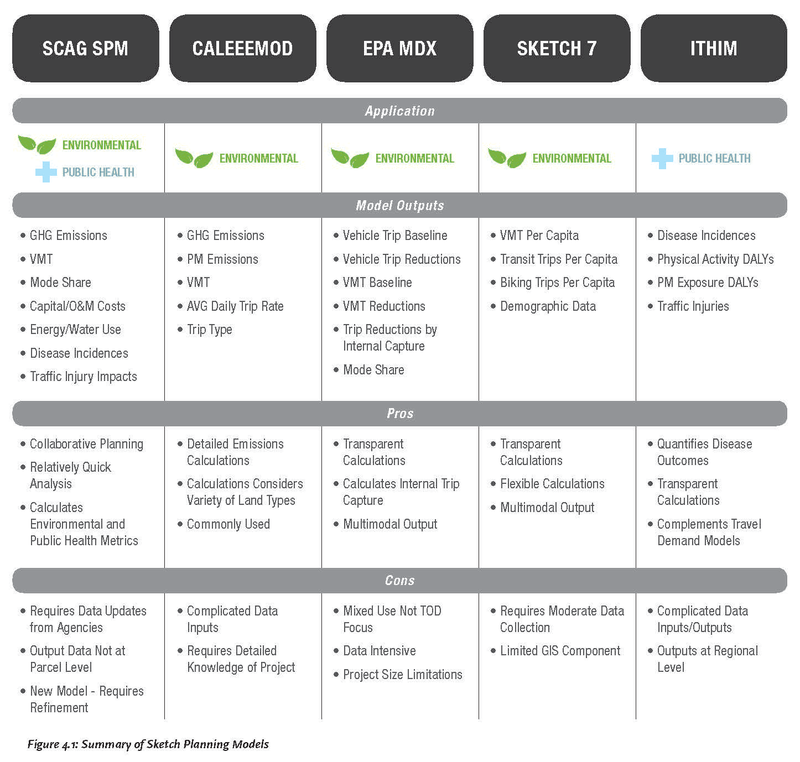 A brief overview of available environmental and health planning tools is provided in the figure below. 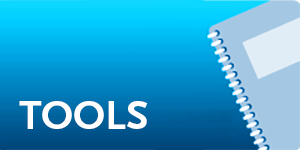 The link to the PDF to the right provides more detailed information and summaries of the planning tools.